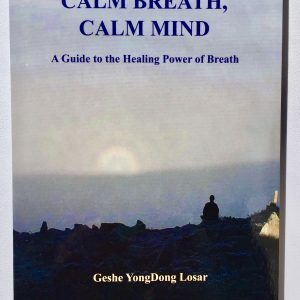 Many Tibetan Lamas have said that Dzogchen is the ultimate form of meditation, and that due to its profound simplicity and its radical approach to directly accessing the Buddha within us, it is especially suited to our turbulent, difficult times. The central point of the Dzogchen teachings is that we are all Buddhas by nature, and that we can realize that fact through an experiential discovery of the love, wisdom, compassion, divinity and Buddha-ness within our own hearts and minds. Dzogchen teaching helps us explore and develop our own Buddha nature within. Join Lama Geshe YongDong in this 8 week live video series, learning how to inquire into ourselves; to explore our body and mind, psyche and soul; and to recognize the difference between our true essential nature or ‘who we really are’ – and our false selves or ‘who we think we are’. GesheLa has selected these dates for another series of online (via Zoom) Dzogchen Teaching. This is based on the book “The Practice of Dzogchen in the Zhang-Zhung Tradition of Tibet”. (Translated with Commentaries and Notes by John Myrdhin Reynolds). GesheLa requests that you have a copy of the book if you want these teachings. The entire course will be held over 8 weeks, starting January 7 to February 25 from 7:00 pm – 8:30 on the following Monday’s: January 7, 14, 21, 28 and February 4, 11, 18 and 25th. You can register for this online teaching by making your payment below. 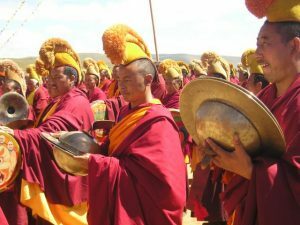 I have never had any formal Dzogchen teachings before but would like to learn about it? Can I still register? 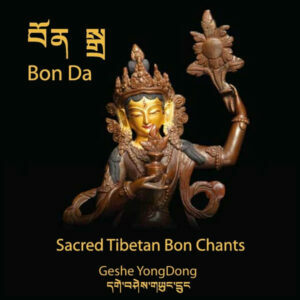 For those of you who DO NOT HAVE any prior teachings on Dzogchen and would like to learn more about Dzogchen, you can purchase the video and audio recordings in our Products section, for a fee of 75.00. Upon payment, you will be contacted by email about how to access the recordings. You can then review those recordings in preparation for these additional teachings if you wish. What is the cost for this series of teachings and how can I make payment? The cost for this entire 8 week session for 12 hours of teaching is Cdn $ 100.00. How will the teachings be conducted? All teachings will be available through using the Zoom App. The Sherab Chamma Ling Centre will not be open for these teachings. How can I access the free Zoom app? If you are already accessing the free Zoom app for Tuesday teachings, you are ready to go. The Zoom code will be sent to you just prior to the teaching if you have registered. There is NO additional charge for using Zoom for this workshop. If you do NOT have the free Zoom app on your electronic device, you can download it from the App Store at no cost. That’s it! Once you have registered, you will be sent a zoom code. This code will allow you to “Join the Meeting”. The code will be the same for each week of teaching. Do I need to have a copy of the book to benefit from the teaching? Yes, GesheLa asks that everyone who registers, have a copy of the book to follow the teaching and for weekly pre-reading “homework”. We still have a very limited supply of this book available at the Centre. The cost of the book is Cdn 40.00 if you pick it up from the Centre in Courtenay on Tuesday evenings when the Centre is open. We can also mail a book with an additional fee for shipping and handling. This fee is 15.00 if shipped within Western Canada. Alternatively, you can search for the book through Amazon and purchase it yourself. Will there be an opportunity to ask questions after each teaching? Yes, all teaching sessions allow time for questions and discussion. What if I cannot attend any or some of the Monday teachings? All online teachings will be recorded and he videos with audio will be sent to your email as a link accessible through Dropbox. There is no additional charge for this. Is there a tax receipt provided for payments for workshops? No tax receipts are issued.